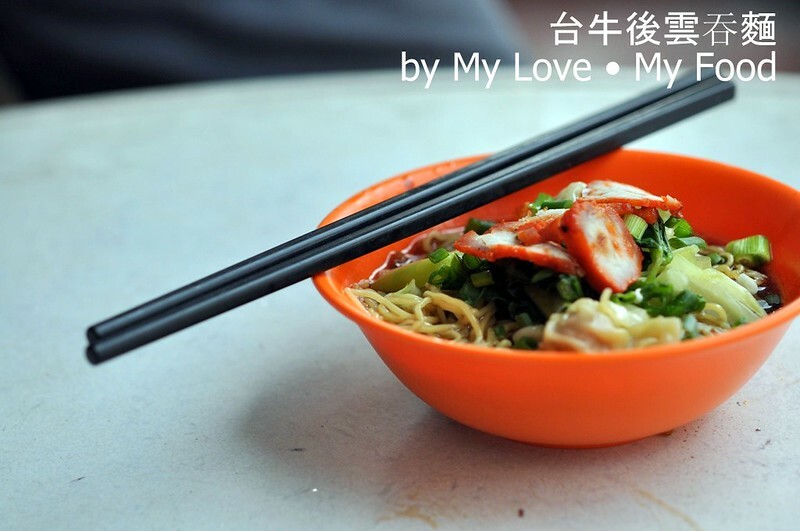 Stumble upon an article from Guang Meng Press on Malay Street’s Wanton Mee, and also a post by vKeong too. I’ve been searching for this stall almost every weekend when I am free, unfortunately this stall only opens on week days, that means I can only try this out on either a replacement holiday or a day off. That sounds pretty pathetic, isn’t it? Well, that’s not entirely true, when comes to food, whether it’s good or bad, it’s the enthusiasm in you to find it out and try it yourself, even others have told you how good or bad it is. It was on one of the Monday, I was trying my luck to see whether the stall is open for business or not. From far, I see a polypropylene shade covered the stall and I see smoke from the hot pot of boiler. I was telling myself, hey, that’s the lucky day for me. Instead of sitting under the polypropylene cover near the stall, I opted to sit opposite where they have lined a few tables along the opposite houses. Say about 3 to 4 tables and a few chairs… looking across the street, seeing the owner Ah Hock focusing in cooking the wanton mee for his customers. A young lady came forward and asked us what kind of drink we would like to have; and also to confirm our order. A few minutes passed by, a middle age lady send us 2 bowls of dried Wanton Mee and a bowl of Wanton Soup. 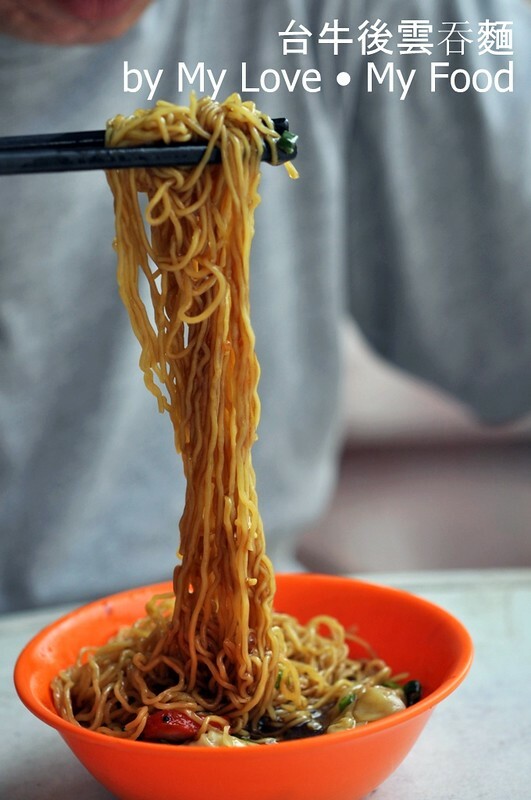 I could smell the fragrant of the bowls of Wanton mee across the road. The noodle has cooked till its al dente and it has its springy feel too. 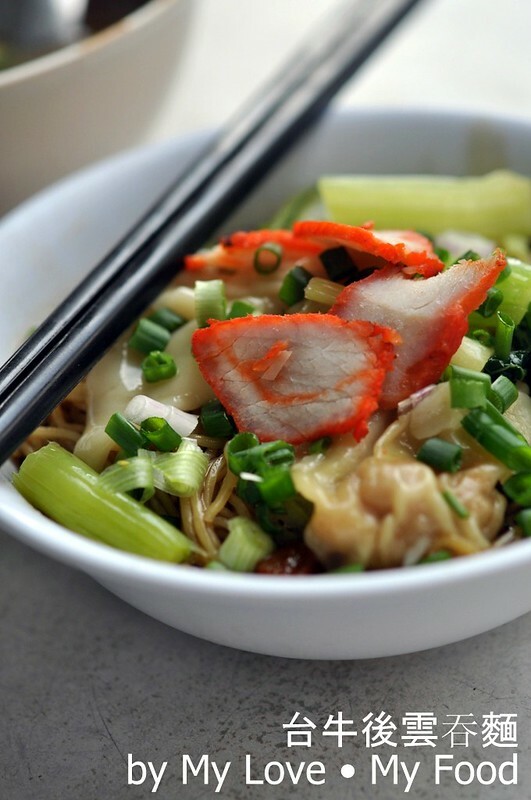 The sauce has also made the noodle fully blend into it and complement with the wanton and others side dishes like Char Siew and cooked vegetable. 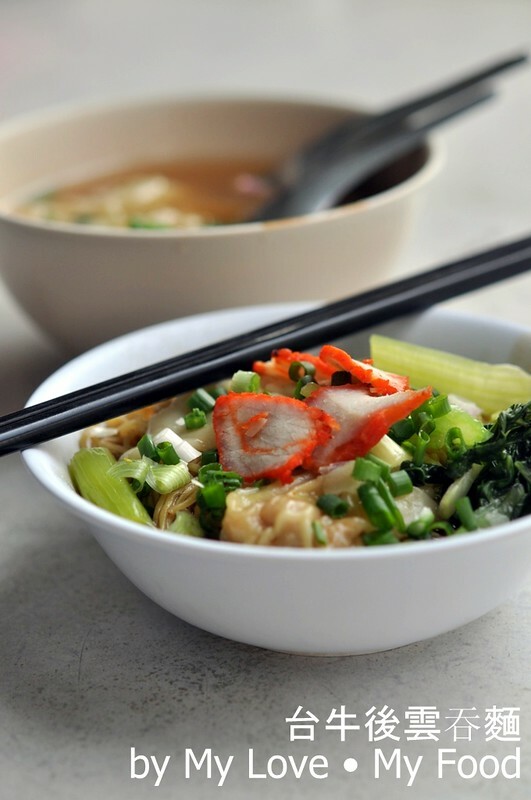 Ah Hock also garnished each bowl of the Wanton noodle with a little bit of spring onions as well. 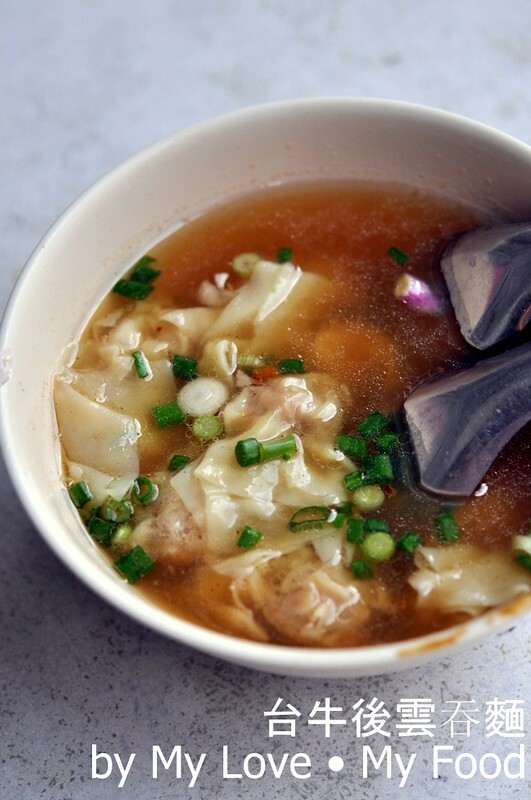 The wanton soup that we have it’s nicely soaked in the hot soup and with a few spring onions swimming on top of the soup. Each of these wanton wrapped with marinated meat and the juices will flow out to your mouth each time you bite on it. That explains why people are still crawling over to this stall despite a hot weather. Business Hours: Monday to Friday (12.30pm to 5.30pm), close on Weekends & Public Holidays. 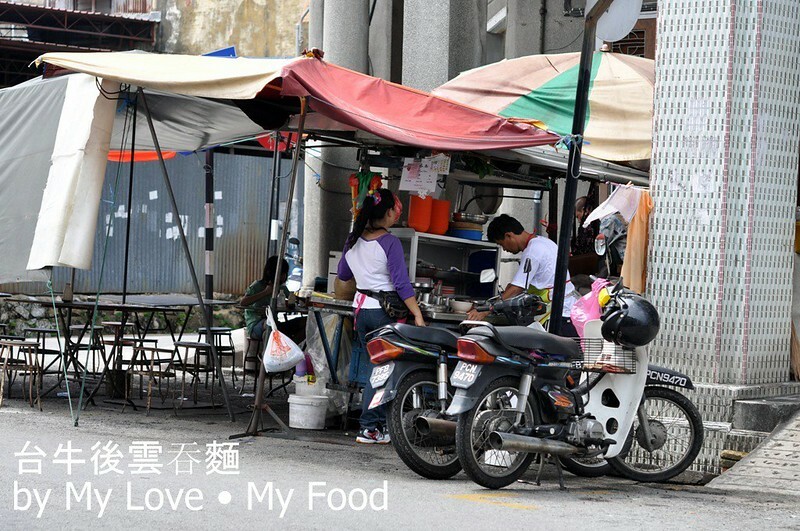 omg...i miss this stall, used to eat it from a kid till high school cuz my grandma's shop is just a few shops away..